In northern Piemonte, Italy, La Strada dell’Assietta is one of the most spectacular high altitude roads in the world. More than 30 kilometres long, almost entirely well above 2000 metres. This old military road is unpaved, gravel, and at times quite rough. Along its length are all sorts of forts, barracks, etc. Most built in the late 1800s. The official web site is here. The “trouble” with this great road is that it can take an average cyclist 2-3 hours of solid climbing just to reach the route. For example, one can climb the legendary Colle delle Finestre (one of the toughest climbs in Italy) and still be well below the main Assietta road (Finestre summit 2178m; Colle dell’Assietta summit 2474 metres). Last week, my Swedish pal Jens and I selected an easier way to get onto and ride the Strada dell’Assietta. But first some explanations of the truly fabulous “tough” routes. I explained the below rides and explained all the routes labeled on the map beneath in a long post last year: Strada dell’Assietta / Colle delle Finestre – A detailed look. 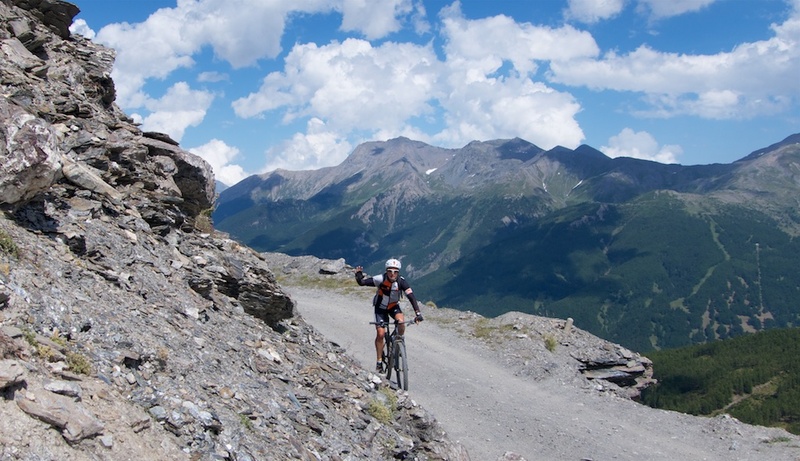 1) Via Colle delle Finestre. 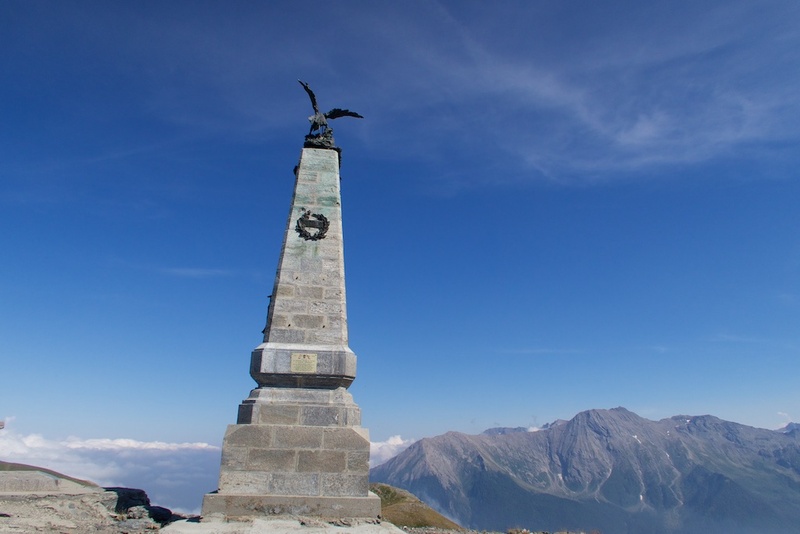 3) Note, there is another military road above Assietta: the Strada Militare delle Finestre – Gran Serin. 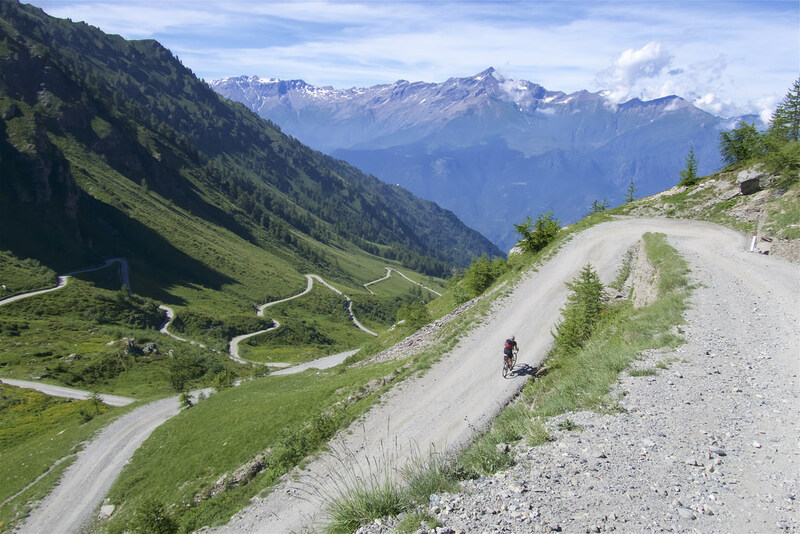 One can ride from Colle dell’Assietta up to roughly 2800 metres and descend to the Fort just above Colle delle Finestre on a closed old military road that is almost beyond belief. The Finestre ride linked above includes this road. Back to 2017. After a week of fun/tough Alpine cycling, Jens and I were looking for a beautiful but not too crazy way to visit Assietta. So we booked a hotel in the ski station of Sestriere. At just over 2000 metres, this nice village is at the very opposite end of the Strada dell’Assieta from Colle delle Finestre. But it is already quite high. This start allowed us to maximise our time up higher without killing ourselves just reaching the upper road. From town, it is less than a kilometre to a turn off onto a gravel road heading higher – and the fun begins. 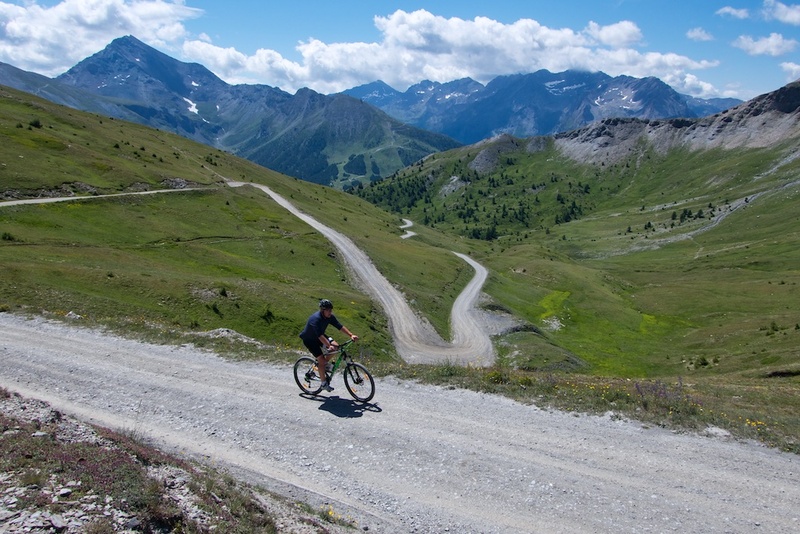 From here it is six glorious, hair-pinned kilometres uphill to Col Basset (2460 metres). 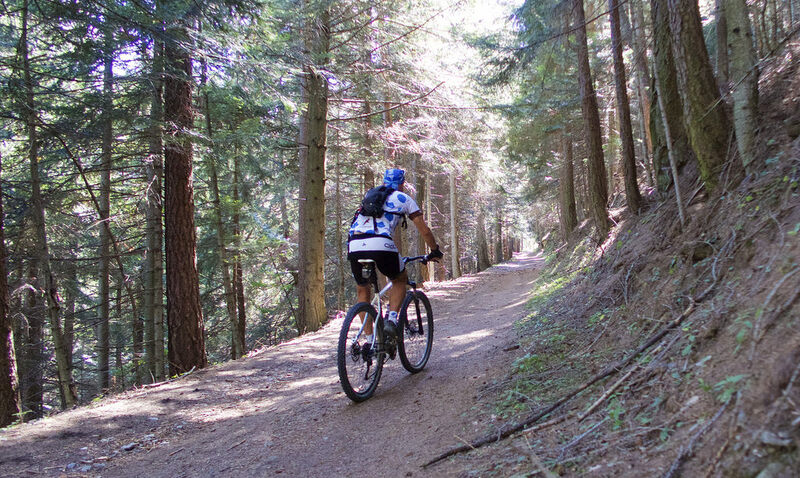 The Strada dell’Assietta is closed to motorised traffic on Wednesdays and Saturdays during the summer. Very nice. While it never has too much traffic, these days eliminate the dust from the ever present groups of motor-cyclists and trek company jeeps. From Col Basset we would ride 17 more kilometres to Colle dell’Assietta (2474 metres). While this stretch starts/ends at roughly the same altitude, it is up and down, with the road switching back and forth between the right side of the ridge and the left side (this “easier” ride still has 1350 metres ascent). It crosses several cols (some labeled on above map). This may be the less spectacular side of the Finestre/Assietta roads, but it is still superb. Just short of the monument is Casa dell’Assietta, a farm that serves food and drink. A rare chance for some much needed calories. 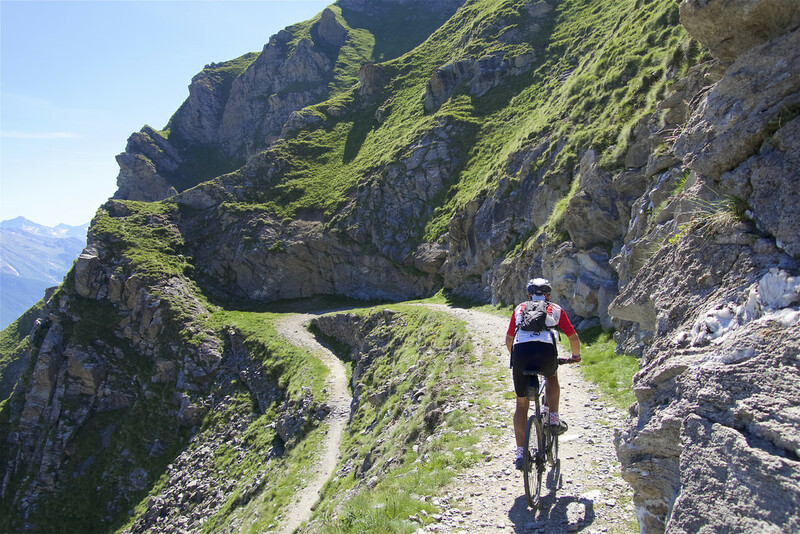 At Colle dell’Assietta, the route descends sharply – see the detailed post for more details. This was the turn around point of this “*easier* ride. 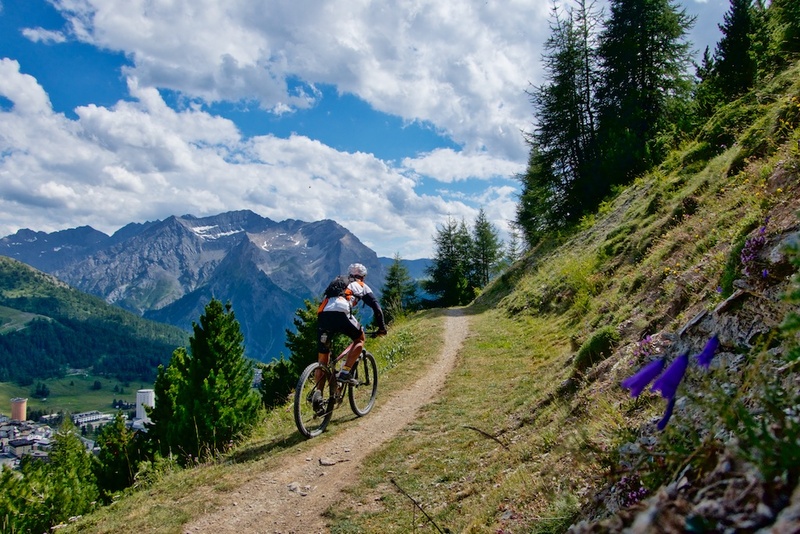 Returning in the opposite direction is the only option to keep this ride from become quite difficult as any other route would require huge descents and subsequent climbing. Anyway, it’s a fabulous road back, and the opposite direction just provides new views. One new idea: Near the finish, while descending from Col Basset towards Sestriere, I saw the following sign and decided to follow it (see map below). 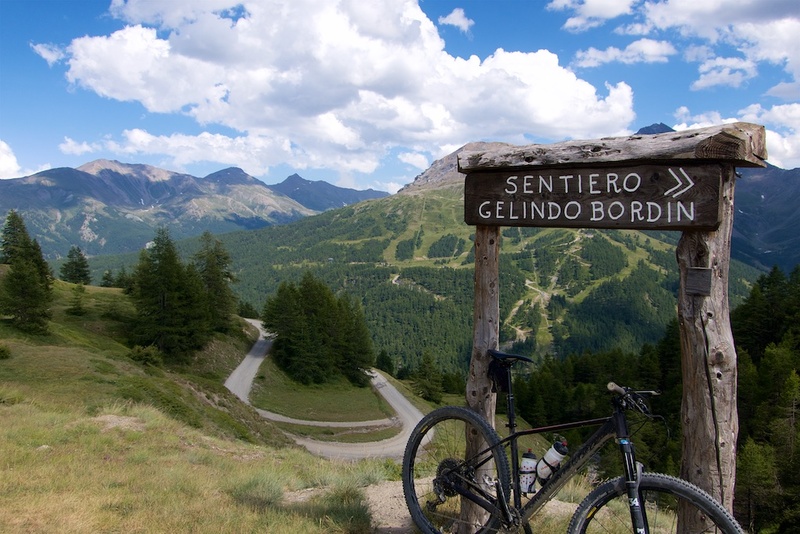 It quickly becomes a relatively easy, but fantastic, wide trail that runs for several kilometres above Sestriere. Fabulous views. After passing Sestriere, I just took a steep gravel road back into town, although it looked as though this trail continues. Recommended. 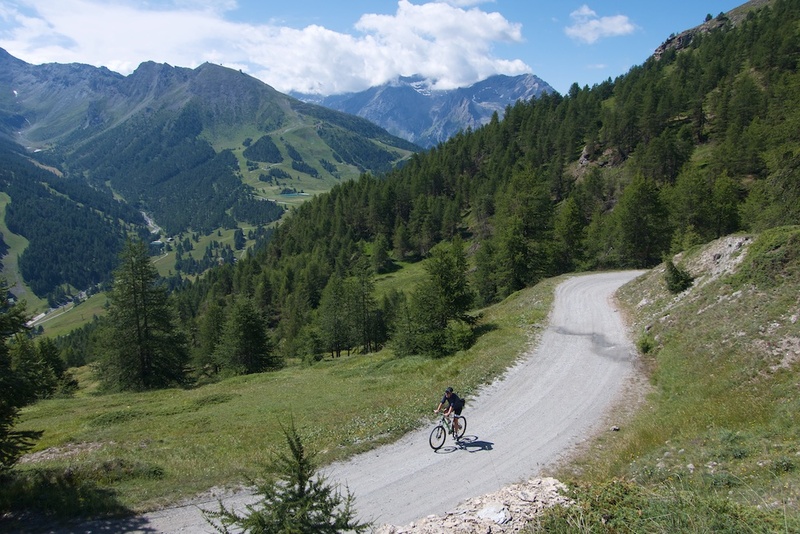 There are so many options for riding the brilliant Finestre/Assietta roads. All are quiet, and great fun – but most very challenging. Sometimes it’s nice to take a slightly less crazy option.